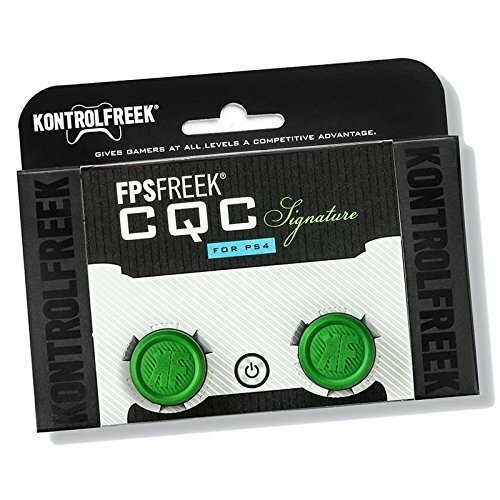 The versatile FPS Freek CQC Signature offers unsurpassed comfort and control thanks to its hybrid thumb surface and soft rubber compound. Signature is perfect for first or third-person shooters and Action-Adventure games like Fortnite, Overwatch and Monster Hunter: World. Designed for shotgun-wielding super commandos and rush-type players, FPS Freek CQC Signature is the difference maker when the first hit marker really matters. FPS Freek CQC Signature’s proprietary rubber compound and unique concave/convex hybrid thumb surface provides unsurpassed comfort and control no matter what game you’re playing. The 6.1mm of height added by Signature creates a nearly seamless feel for those looking for big results but prefer less adjustment time. Signature is also perfect for younger gamers or those with hands on the smaller side. CQC Signature excels when using subs, shotguns, pistols and when quickness in close quarters is at a premium. 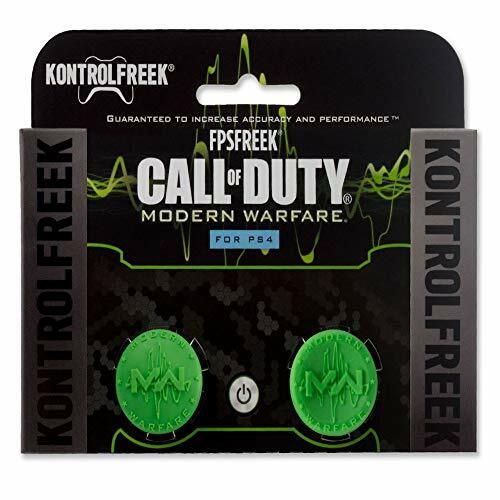 A tribute to the newly remastered Call of Duty 4, KontrolFreek FPS Freek Call of Duty Modern Warfare boasts the iconic bright green color scheme and laser etched "MW" logo from the classic Infinity Ward game. The thumb pad offers an exceptionally rugged grip and was built to perform in the fast-paced world of competitive online play. The officially licensed FPS Freek Modern Warfare Performance Thumbstick features two different height sticks. With one concave high-rise stick (10.1mm) designed for aim and accuracy on your right analog, and one extra wide, low-rise domed stick (6.1mm) for extra grip and comfort on your left, you'll get quicker target acquisition and ultimate control and precision. 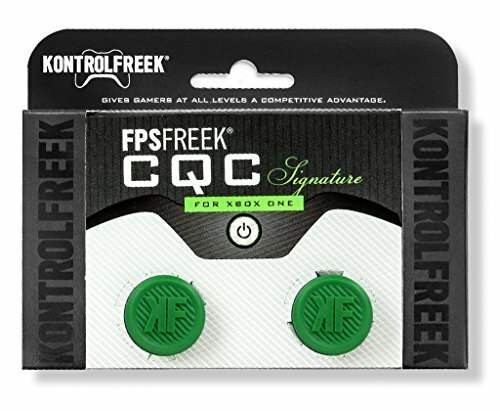 The versatile FPS Freek CQC Signature offers unsurpassed comfort and control thanks to its hybrid thumb surface and soft rubber compound. Signature is perfect for first or third-person shooters and Action-Adventure games like Fortnite, Overwatch and Monster Hunter: World. Designed for shotgun-wielding super commandos and rush-type players, FPS Freek CQC Signature is the difference maker when the first hit marker really matters. FPS Freek CQC Signature's proprietary rubber compound and unique concave/convex hybrid thumb surface provides unsurpassed comfort and control no matter what game you're playing. The 6.1mm of height added by Signature creates a nearly seamless feel for those looking for big results but prefer less adjustment time. Signature is also perfect for younger gamers or those with hands on the smaller side. CQC Signature excels when using subs, shotguns, pistols and when quickness in close quarters is at a premium. 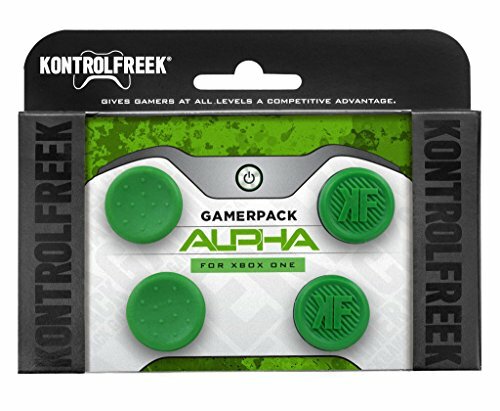 GamerPack Alpha provides an advantage in any game at any range. It includes two sets of our best-selling Performance thumbsticks. 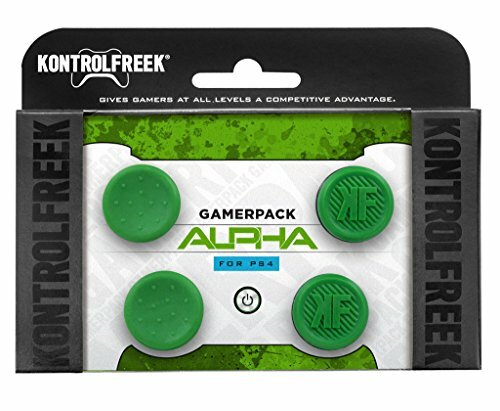 The low-rise KontrolFreek Alphas improve comfort, while the mid-rise CQC Signatures provide superior grip and control. Both require minimum adjustment time and have been battle tested by top professionals. GamerPack Alpha provides an advantage in any game at any range. It includes two sets of best-selling Performance thumbsticks, low-rise KontrolFreek Alpha and mid-rise CQC Signature thumbsticks. Both require minimum adjustment time and have been battle tested by top professionals. Adding a nominal 3.6mm of height and a wide thumb surface, Alpha was developed for players who want additional grip and comfort while gaming. CQC Signature's proprietary rubber compound and unique concave/convex hybrid surface provides unsurpassed comfort and control. The 6.1mm of added height creates big results, particularly when using subs, shotguns, pistols and when quickness in close quarters is at a premium. Our GamerPack Classic gives gamers the advantage in any game at any range. 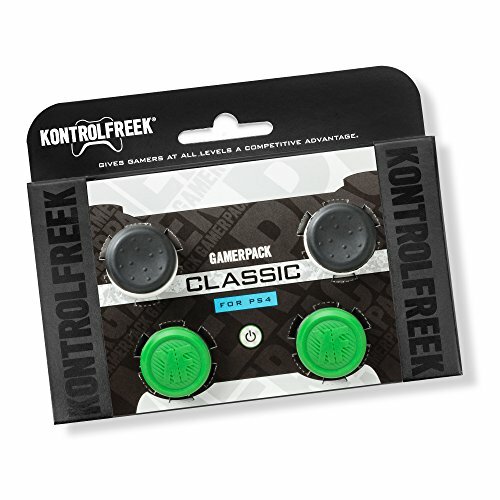 Each GamerPack Classic includes one set of KontrolFreek Classic and one set of FPS Freek CQC Signature Series. CQC is an extremely versatile Performance Thumbstick that adds only 6.1mm of height to your OEM sticks. It was designed for close-quarters combat to provide optimal control and grip in first-person shooters but works well for any game or scenario. FPS Freek CQC was designed for hyper-aggressive, rush-type players who like to be the first to the objective. FPS Freek CQC's concave thumb surface is built for excellent comfort, grip and control. The 6.1mm of height added by CQC creates a nearly seamless feel for those looking for big results but prefer less adjustment time. 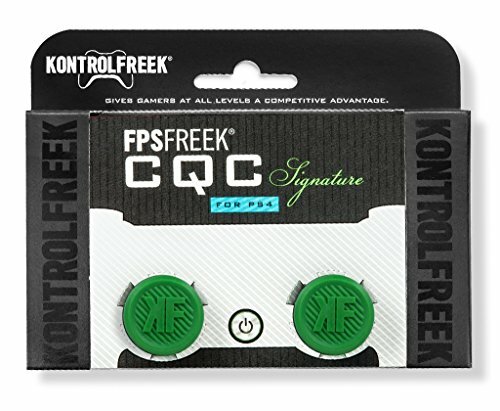 CQC is also perfect for younger gamers or those with hands on the smaller side. CQC helps increase all-around accuracy, too, so it will surely help you get the most out of short-to-mid range munitions like shotguns and subs. CQCX is a versatile and comfortable Performance Thumbstick that adds 8.6mm of height to your standard sticks. It was designed for close-quarters combat to provide optimal control in first and third-person shooters but works well for any game or distance. No matter what your play style, when things get up-close-and-personal, CQCX is the one you want. CQCX was designed for precision during close quarters combat and for rush-type players who like to be the first to the objective. The comfortable 8.6mm height extension creates a seamless feel for those who prefer less adjustment time or have smaller hands. The domed and dimpled thumb pad provides an extremely even and consistent grip, providing excellent comfort and control. CQCX excels while using shotguns, pistols, melee attacks and when being quick in close confines is the difference between life and death. GamerPack Galaxy stands up to the grueling demands of competitive online play in games like Destiny, Halo, Star Wars Battlefront and other competitive first and third-person shooters. 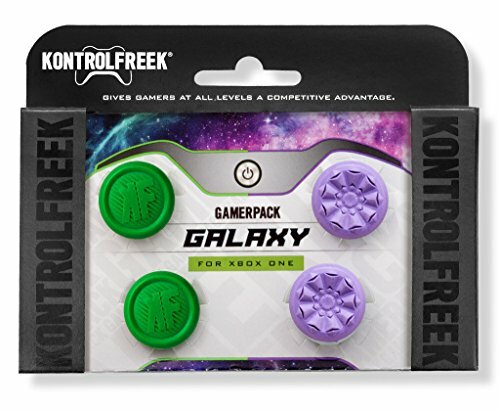 GamerPack Galaxy includes FPS Freek Galaxy and FPS Freek CQC Signature. Boasting a beautiful purple-on-silver color scheme and an original laser etched design that offers exceptional grip, FPS Freek Galaxy features two different height sticks with rugged concave grips. With one high-rise stick (10.1mm) designed for aim and accuracy on your right analog, and one shorter, mid-rise stick (6.1mm) for extra grip and comfort on your left, you'll get faster target acquisition and maximum precision and control. 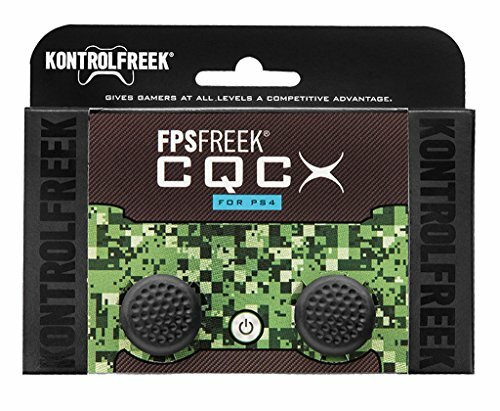 FPS Freek CQC Signature's proprietary rubber compound and unique concave/convex hybrid thumb surface provides unsurpassed comfort and control. The 6.1mm of height added by Signature creates a nearly seamless feel for those looking for big results but prefer less adjustment time. CQC Signature excels when using subs, shotguns, pistols and when quickness in close quarters is at a premium.